The composite materials, carbon nanofibers-based cobalt oxide and Ag (CoxO–Ag/CNFs) were fabricated through a facile electrospinning method followed by calcination. They were Co2+–Ag/CNFs, Co2+@Co3+–Ag/CNFs. And the Co2+@Co3+–Ag/CNFs sample was obtained through transform Co2+–Co3+ partially by the catalytic oxidation performance of silver, instead of the traditional high-temperature calcination process. Meanwhile, the high conductive of Ag can promote the transportation of electrons and ions between the electrode and electrolyte. 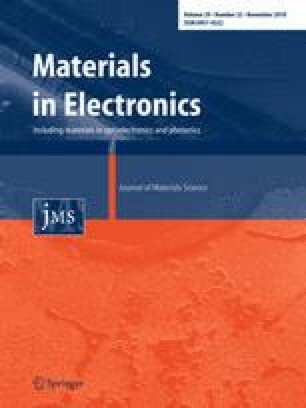 The flexible composite materials as free-standing and additive-free film electrodes for supercapacitors. In virtue of the presence of Ag, the composite materials have better conductivity and supercapacitor performance than Co/CNFs-based electrode. Interestingly, the sample of Co2+–Ag/CNFs has a higher capacitors than Co2+@Co3+–Ag/CNFs sample, that indicates the supercapacitor performance has an important relationship with the valence state of cobalt. This work is financially support by the National Natural Science Foundation of China (Grant No. 21766022), and the Inner Mongolia Natural Science Foundation (Grant No. 2017MS(LH)0204), and the Scientific Research Program of Higher Education Institutions of Inner Mongolia Autonomous Region (Grant No. NJZY16087).